VIS Racing & Duraflex Body Kits offered to you at the best prices ! 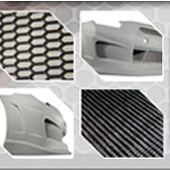 UltimateMotorX.net is the leading discount aftermarket body kits and carbon fiber hoods Super Store! Since opening in 2008, UltimateMotorX.net has stayed true to our customers with our promise to provide the highest level customer service and the lowest prices without sacrificing the quality of our products. Our company has made it affordable for car enthusiasts of all ages and economic backgrounds to enjoy upgrading their cars. Come join the team! UltimateMotorX.net offers over 20,000 Auto Body Kits, SUV Body kits, Truck Body Kits, Carbon Fiber Hoods, Carbon Fiber Hatches, Carbon Fiber Trunks, Projector LED Lighting, Suspension, Grilles, Exhaust, Intakes, and Headers! VIS Racing Sports, Inc. has been at the forefront of automotive restyling since 1996. They started the ultra-aggressive style in body kits for sport compact cars in Southern California. The trend quickly spread from the West Coast to East Coast. In a matter of a few years, their styles were found in many parts of the globe. 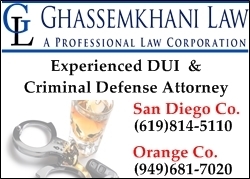 This trend culminated with the release of the movie, “Fast and Furious (2001), in which they were one of the sponsors. They were not content with the status quo and continued to bring new products to the restyling scenes. Their carbon fiber hoods and trunks are the de facto standard “Grade A “against which other competitors in the world are measured. Their carbon fiber products are number one in the industry, and their popularity can be seen on the streets as well as car shows alike. VIS Racing Sports is also making inroads into the Japanese market with the help of their partner in Japan. Their products can be seen in Japanese magazines, such as Auto Fashion and Options magazines. Extreme Dimensions has revolutionized the fiberglass marketing with their premium Duraflex aerodynamics. Duraflex combines fiberglass, plastic, and flex resins to obtain its unique features. Because of these features, Duraflex technology obtains a much higher durability rate than the average fiberglass product, resulting in reduced shipping damages up to 75%. Duraflex products come complete with a black primer finish, high quality mesh grille, hardware kit, and an installation guide to help you install the product. This revolutionary product allows the consumer to receive a premium fiberglass product at an affordable price. 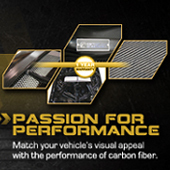 SEIBON Carbon, a division of SEIBON International, Inc., specializes in the design and manufacture of high-quality carbon fiber automotive body components such as hoods, trunks, fenders, and aerodynamic body additions such as rear spoilers and side skirts. Their company was founded by genuine automotive aficionados, and debuted in the automotive aftermarket industry in 2003. They realized that there was a demand for top-quality, durable carbon fiber components among other like-minded enthusiasts, and they set out to create the best products in the industry. Their products are stylish and functional. Everything is made from deluxe French or US-made carbon fiber, and is rigorously-inspected during our multiple-step quality control process. Their in-house design team introduces and maintains proprietary designs for a wide and growing variety of sport compact applications.